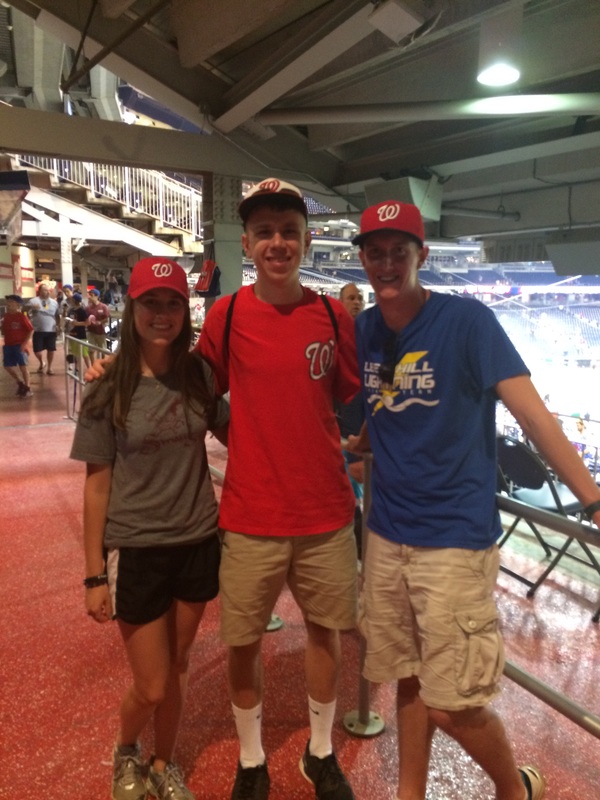 Upon leaving, and after we stopped in at a Potbelly, we made our way to the Metro and eventually to Nationals Park. 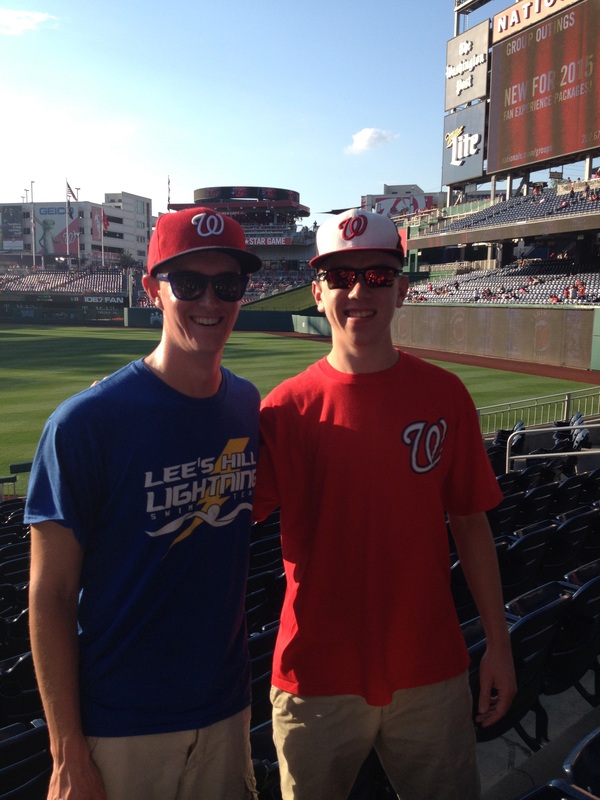 Entering the game, I was on a 13 inning scoreless drought when attending Nationals games. I had not seen the Nationals score a run since the 5th inning of a double-header against the Blue Jays in early June after watching Zack Greinke mow down the Nationals lineup on Star Wars Day. It looked as if the scoreless streak would continue. Doug Fister took the mound against the Arizona Diamondbacks looking to right the ship after struggling for much of the year. He started off well but his first blemish came on a 3rd inning home run. Then in the 4th, the Diamondbacks tacked on three more behind two more round-trippers and the Nationals faced a 4-0 hole. After another run in the 5th, the Nats needed five runs to tie. Looking at the out-of-town scoreboard, the Mets were dismantling the Marlins and the Nationals were staring second place straight in the face. On the other side, little known rookie Zack Godley continued his strong start for the Diamondbacks. He threw six shutout innings, including three perfect ones to start the game. He added six strikeouts and lowered his ERA to 1.50 over his first 18 innings. After much criticism for his bullpen management over the weekend at Citi Field, Nationals Manager Matt Williams called on Drew Storen for the eighth who retired the side in order. It was then Jonathan Papelbon who came in to make his home debut. His first outing at the park was not exactly endearing as he gave up yet another D-Backs home run. The Nats were staring a shutout straight in the face, but they were not going to get shutout if Ryan Zimmerman had anything to say about it. He hit a towering homer to left field with one out in the 9th to at least get the home team on the board, and thus, thankfully, end my scoreless innings streak. Then all of a sudden the Nationals woke up. It was hit after hit, and before the crowd that was left knew what was happening, the score was 6-4 Diamondbacks. Jayson Werth, struggling since coming off the DL, came up with one out and Michael Taylor on 2nd, but could not muster an RBI. Subsequently, Yunel Escobar flew out to left field, and just like that, the Nationals had dropped their fourth in a row and were one game behind the Mets in the NL East. While the game was sub-par, the day was fun. I’m looking forward to what the next three have to offer.